TNGS representatives will be participants at the NOFA Summer intensive devoted to Prison Food Justice Programs. We're excited to connect and build collective knowledge with our colleagues from throughout the region engaged in this important work! 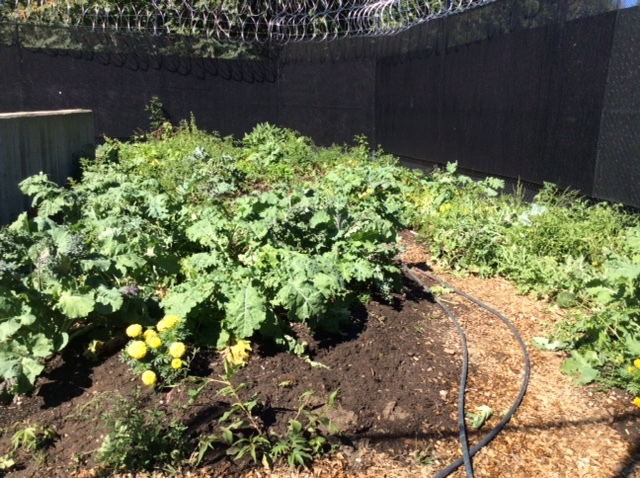 As part of the NOFA Summer Conference The New Garden Society will be presenting the workshop " Prison Gardens: Strategies for Therapy and Job Training" based on our 5 years of experience growing food & flowers alongside in prison yards our incarcerated students. Please join us! We will introduce participants to the work of The New Garden Society and present the context of why horticulture education in correctional facilities is critical and transformative for students and educators alike. Professional horticulturist and Co-Founder of The New Garden Society, Renée Portanova, will offer a multi-media presentation open to the public on her experiences gardening alongside incarcerated students for the past 5 years. The prison courtyards and classrooms that The New Garden Society works in are largely invisible to the public. Through this presentation, Renée hopes to shine a light on local prisons and share The New Garden Society's experiences with the simple, transformative intervention of prison gardens. Light refreshments will be served at 9:00am, and the presentation starts at 10:00am. This event is sponsored by the Wellesley Garden Study Group.